The Boy stomps his feet and pouts, "I'll do my summer math sheets LATER!" Princess zips confidently through a time-telling worksheet and squeals, "What's next Mom? Are there more worksheets!?" That's how skills review goes all summer around here. The Boy procrastinates his work packet until the last week before school starts (misery), forgetting many of his skills in the meantime and Princess just can't get enough. I think I may have found a way to please them both. While googling the internet for some fun ways to inspire the boy to study I came across this activity page at education.com. I am so excited! Tons of games and activities neatly arranged by grade level with step-by-step instructions and appealing photos. I think The Boy just might get into some of this schoolwork disguised as fun and Princess just might be satiated with activities that incorporate learning. Hallelujah! 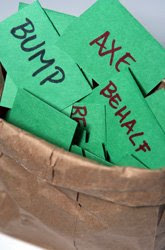 Bump - this is a great activity for reinforcing those core spelling words at any grade level! I'm especially looking forward to this one because both The Boy and Princess can play it together, giving him the opportunity for review and her a fun introduction to future spelling words. She'll eat it up and he'll be eager to prove his spelling prowess to her! 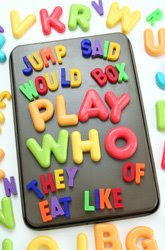 Traveling ABC's - Another spelling game. What can I say, I'm a spelling freak?! This one is very straightforward but I think will be so handy for car trips. Princess will adore the aesthetics of this. Now I just need to pick up a couple more sets of letters as I'm sure that Cha-Cha and maybe even The Boy will want in on this activity. Punctuation Practice - My kids love stickers so this is sure to be a hit with all of them. The Boy and Princess will both benefit from filling in the correct punctuation and I'm sure I'll come up with a sticker fill-in project for Cha-Cha. Maybe filling in missing letters of the alphabet? Multiplication Wizard - Okay, gotta get some math in there. I can definitely use any ideas I can find in this arena. Totally not my forte. This incremental approach looks promising. A good way to reinforce the multiplication tables since I'm sure The Boy has probably happily dismissed half of them from his memory already. I know I did at that age... ugh those sevens and eights! 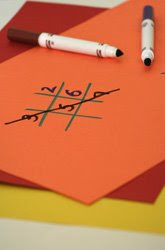 Tic Tac Toe with a Twist - This twist on one of The Boy's favorite games could be a hit. Keep those addition skills sharp! Princess can hone her skills with a little tic-tac-toe math, too. I like this one because, just like good old-fashioned tic-tac-toe, it can be played anywhere. In the sand on the beach, on a napkin at the ice cream parlor, even while resting between bouts in the pool! Ambitious, aren't I? There are tons more activities, too! I'm just trying not to overwhelm myself. 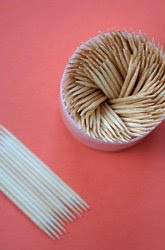 Lots of craft ideas and the ever popular science projects. 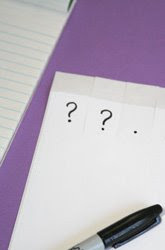 Even some handy ideas for helping kids get organized once they're back in school! Okay, that takes care of keeping skills sharp... anyone have some tried-and-true tips for getting The Boy to sit down and do the Math packet without too much pain and agony?! thanks for the link, those all look so fun. Thanks so much! I will be trying these too. ok seriously... do you take these pics or find them?? you have to email me and let me know your secrets!